In 1938 Harvard university started following 200+ Harvard sophomores and over 400 inner city (mostly from financially struggling backgrounds) school boys and continued to throughout their entire lives. Every few years the men were questioned about their lives, their family and friends were interviewed and every 15 years they were given medical exams. The data that this study has compiled is seriously amazing. 90 of the men from the original study remain alive and are still actively participating. One of the originals became President of the United States, many suffered from addiction and related. Many died. 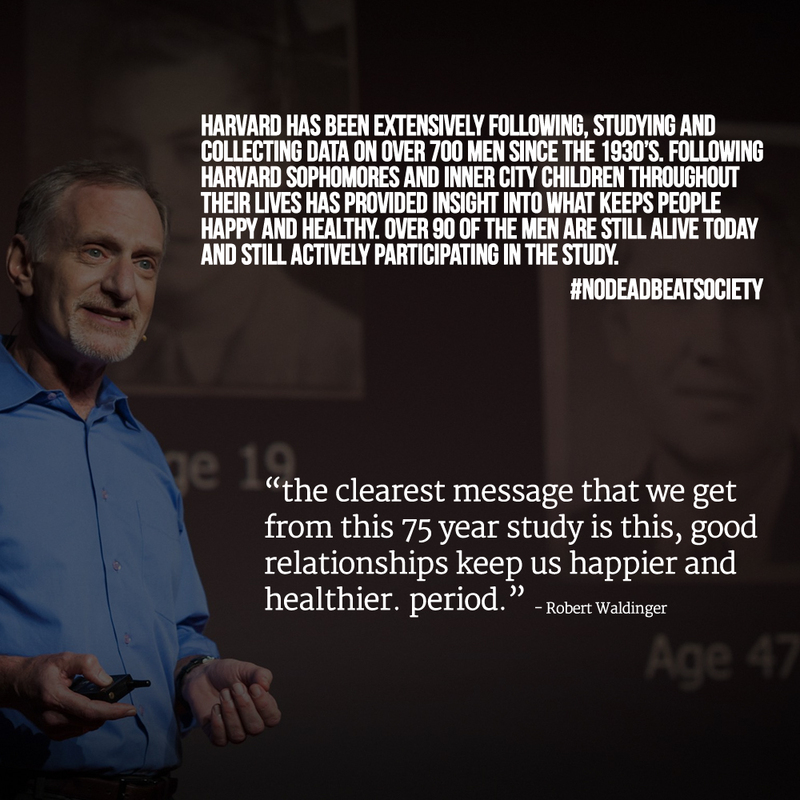 But in the end Robert Waldinger (the current head of the continued project) says that the key to happiness and health in life is relationships. That sounds like a simple concept but its really not. Healthy, loving and passionate relationships in your life provide you strength, weakness, perspective and so much more.